Great news for your lungs, America: Alcohol brands are investing in weed-infused beverages. Constellation Brands (which imports Corona, owns Svedka, and is the world's largest wine producer) is trying to get a head start in the race to bring America danker drinks. Constellation just bought a 9.9% stake in the Ontario-based company Canopy Growth Corp. (its stock ticker is WEED, which is a nice touch) for $191 million, according to the Wall Street Journal. This move is predicted to pressure other brands to enter the industry. Just to be clear: This isn't going to be green dragon or whatever people call weed-infused booze these days. For obvious reasons, that'd be hard to get by the Alcohol and Tobacco Tax and Trade Bureau, and frankly it'd be a disaster for the nation's social skills. 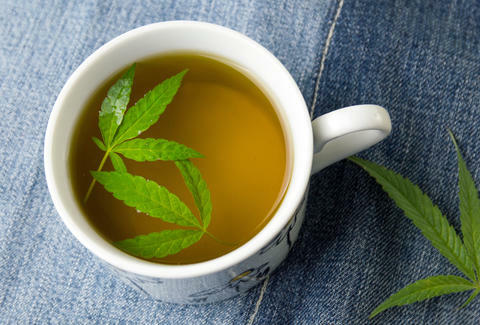 Instead, the New York-based brand wants to distribute products like sodas, fruit elixirs, ready-to-drink coffee, and other “drinkable cannabis products that don’t contain alcohol,” Constellation's CEO Rob Sands told the paper. Many of these products are already on sale by other brands in states with legalized recreational weed like Colorado and Oregon, but Constellation Brands' hope is to get "a first-mover advantage" on national distribution. The industry is trying to account for what Sands sees as the "highly likely" legalization of weed in the United States. Currently, recreational weed is legal in eight states (Alaska, California, Colorado, Maine, Massachusetts, Nevada, Oregon, and Washington), plus Washington, DC. Medical marijuana is accessible in 21 other states. According to a Gallop poll released last week, 64% of the US wants recreational marijuana legalized, a record high, so Sands has reason to be optimistic. Marijuana is seen as a potential threat to our juggernaut of an alcohol industry. In markets that include weed sales, alcohol sales have decreased, according to Bloomberg. Consumers see weed as a potential replacement to alcohol, especially among the younger crowd. In the past decade, marijuana use by 21- to 25-year-olds has been on the rise, while alcohol consumption has declined. Sands downplayed any threat to alcohol's dominance, but he added that the company wasn't "going to stand around twiddling our thumbs." It is highly likely, however, that users of these products will be found doing exactly that. James Chrisman is a News Writer at Thrillist who would appreciate it if New York legalized recreational marijuana. Send news tips to news@thrillist.com and follow him on Twitter @james_chrisman2.